Glendun is called the glen of the brown river and runs down towards Cushendun. 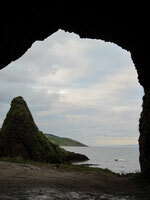 The sea caves at Cushendun are found just east of the harbour, and are made of conglomerate sandstone. They are also known as the Red Caves. 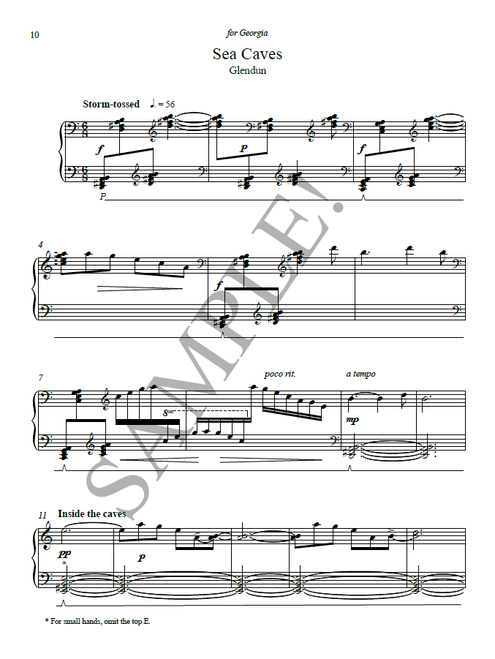 The piece begins with the storm-tossed waves crashing on the shore. Then we enter the caves and a quiet sound world of empty space and echoes.